This is the second in our series of stories deconstructing the shortlisting criteria for the top IIMs. Read our analysis of IIM Ahmedabad’s shortlisting criteria here . The detailed shortlisting criteria for IIM Bangalore are uploaded here. The analysis of the new selection criteria is given below. – Work experience – quality and duration both matter: The good news is that you get marks for work-experience. The bad news is that your work-experience marks get updated after the interview based on the quality of your work experience. You get a maximum of 5 marks for 36 or more months of work-experience (marks are scaled proportionately from 0-5 based on 0 to 36 months of work-experience). At the interview stage, the admissions panel will be able to evaluate the quality of your work-ex, and therefore, update this work-ex score with a multiplier. The multiplier will be on a five-point scale (0.25, 0.5, 1, 1.5, 2.0). Thus, your maximum work-ex score will be 10. If you have poor quality work ex for three years, your final score will be only 1.25 instead of 5. In short, work-ex duration may provide a very small boost to your chances of getting a shortlist, but to actually help you in the final selection, that work-ex has to be of very high quality. (Note: If you have done a professional course like CA, CS and Cost Accounting, your performance there will be given a score out of 10 and the higher score between work ex and professional course will be considered). – 15 is the weight for Standard X, 10 for Standard XII and 15 for graduation. Thus, acads will have a huge bearing in your shortlisting as well as final selection. For IIM Ahmedabad last year, the weightage of acads in the final selection was only 9% last year (30% of 30%). 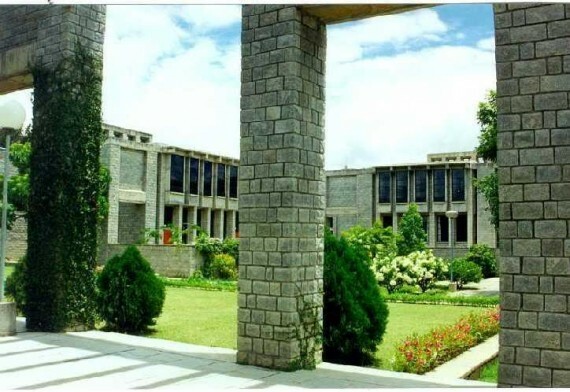 At IIM Bangalore, the weightage for past acads in the final selection is about 40%. The good thing is that normalization would be done for standard X and XII scores according to the 90th percentile score of the candidate’s board (using the CAT aspirants’ standard X and XII scores over the last two years as database). Also, graduation scores will be ‘adjusted’ with their category, which we interpret to be some form of normalization. This is fair and will ensure that an arts graduate is not penalized for topping with only 77%. – Personal Interview and Note Writing stage The candidates culled on the basis of CAT score, work-experience duration, and academic performance will be evaluated by a personal interview and a note-writing task. The weightages are 20 for the personal interview, and 15 for the note writing task (15 is split equally for content and style). Also, at this stage, the quality of work-ex will be discerned and the work-ex score out of five will be scaled to a score out of ten. Adding up all the weightages for CAT (20), Std X (15), Std XII (10), Graduation (15), Work-experience (10), Note-writing task ( 15) and Personal Interview (20), we get a maximum total of 105. Will this be scaled back to 100? We have asked the admissions office of IIM B to clarify. Watch this space for more. There is no explicit mention of diversity, but the criteria are quite well-rounded and will definitely lead to diversity. There aren’t too many major changes from last year. The one change is in a reduced minimum cutoff CAT percentile. See the table below. Minimum Verbal Percentile has been reduced from 90 to 85 for general, and 80 to 75 for OBC. How does this compare with IIM Ahmedabad’s new criteria? The main difference between the two sets of criteria is the weightage given to the Personal Interview stage. At IIM Bangalore, the Personal Interview stage (PI plus writing) has a total weight of only 35. In comparison, at IIM Ahmedabad this stage (writing task plus interview) has a total weight of 60 (and 70 last year). Thus, at IIM Ahmedabad, if you some how manage to get yourself an interview call, your past sins can be washed away by a brilliant performance at the interview stage. On the other hand, IIM Bangalore has a more balanced approach, with weightages pretty much divided among several parameters like past acads, PI performance etc. It is difficult to influence the final outcome with a spike in any of the parameters. What is required is consistency in all parameters. The other important difference is of course, that work-experience is of no help at IIM A, whereas it fetches you some extra marks at IIMB. Plus, IIM Bangalore follows a normalization procedure for evaluating past academics. In short, there are so many checks and balances in the IIM Bangalore criteria, that luck plays very little role in deciding whether you get in. Getting into IIM Bangalore is like winning in a League Format (like the English Premier League) – it requires consistent performance over a period of time, and at the end, it is hardly a surprise when the winner is announced. In contrast, the IIM Ahmedabad has a slight element of variability brought in by the 60% weight to the PI and writing stage. This means getting into IIM Ahmedabad is like winning in a Cup Format (like the World Cup), where one bad day / one great day can drastically alter your chances. Both B schools are extremely difficult to crack in their own way. The last sentences of the detailed admission criteria document on IIM Bangalore’s website sum it up better than we ever possibly could. In short, it is difficult to get into IIM Bangalore without brilliant acads throughout and a strong record in work-experience. We quote it here for your benefit…. We are not including test cases because it is amply clear from the above criteria that only a consistent performer in all stages of academic and professional life will get in.